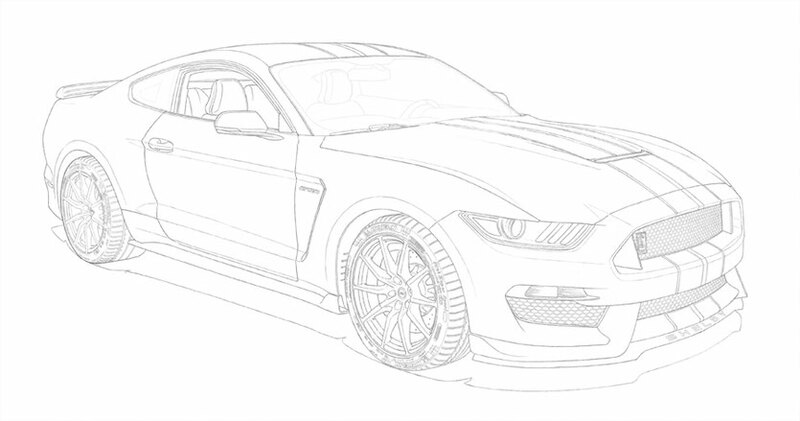 SHELBY GT350 AND THE DETAILS OF A LINE DRAWING. 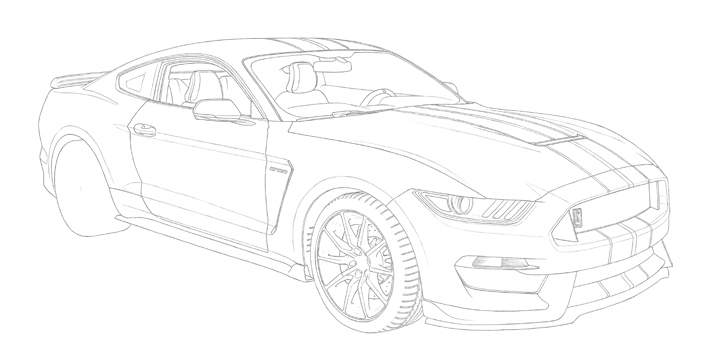 When producing the Shelby GT350 line drawing, I wondered if I was not due for an enhancement of illustration caliber. With the Camaro image series I created since 2016, I came to this stage. 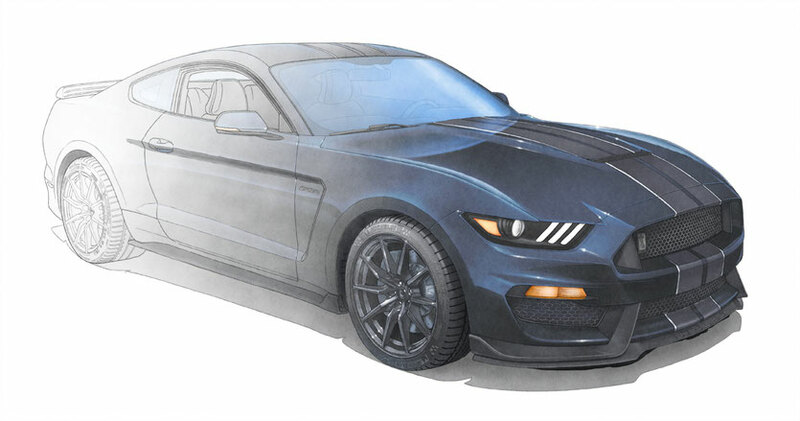 Drawn on an 11x17 inch format, the basic drawing of the GT350 was achieved with the use of an automatic pencil whose lead has a diameter of 0.3 mm, the smallest diameter for a lead mine. The front grilles and the rear wheel were drawn at a larger size and with a larger mine tip. Once all the drawings were scanned, I was able to place the grids in the main drawing by reducing it so that it could fit perfectly in the area. 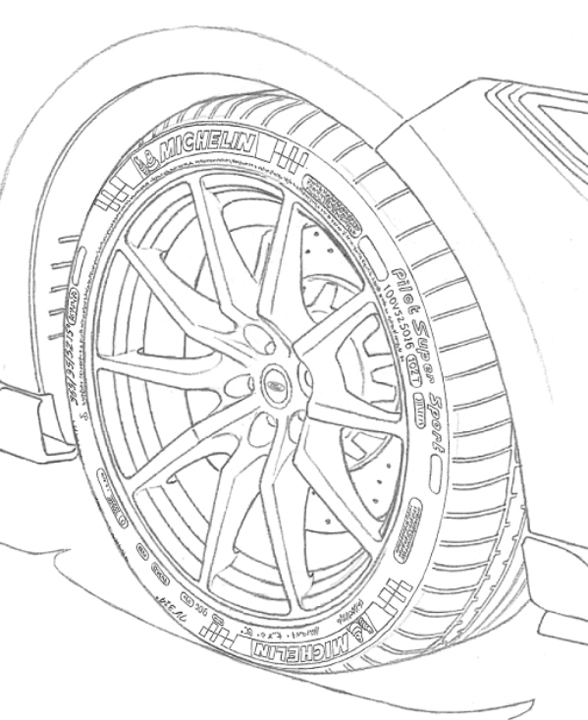 It was the same for the rear wheel, whose strokes I wanted to see in great detail. 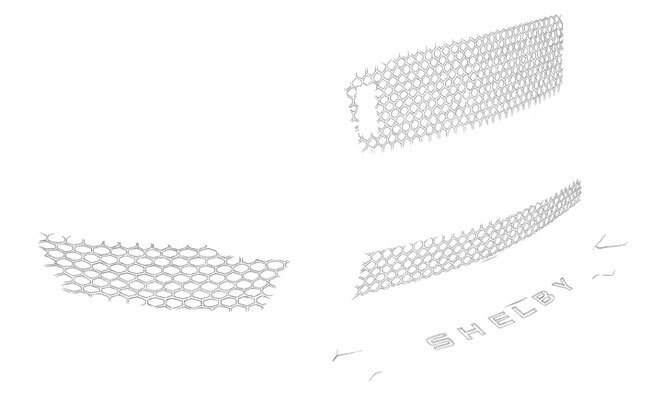 Having drawn the front grilles and the rear wheel with a bigger mine spawn, this allowed the line to not get too thin when reducing these drawing elements. 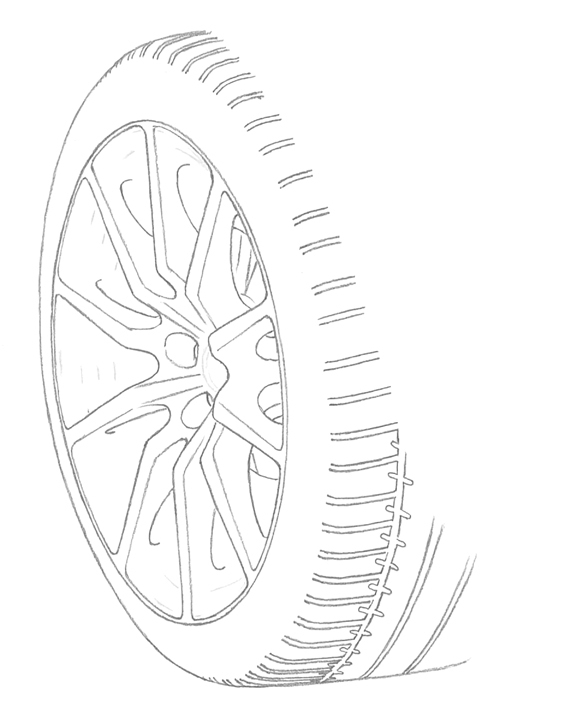 The individual drawings of the rear wheel and the front grill. 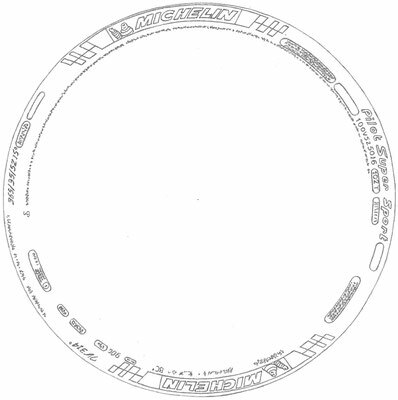 After reviewing the artworks of 2 competitors doing a similar product to mine, I realized that I could add a tire detail they did not have, the lettering and other writing on the sidewall of the tire. 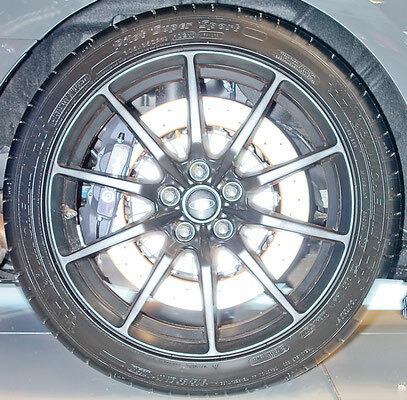 So I took advantage of the Montreal auto show to photograph in profile view, the tires of the sports cars presented there. Once drawn, the pattern is distorted to take place on the final drawing, and once colored, the tire pattern brings a lot more realism to the artwork. 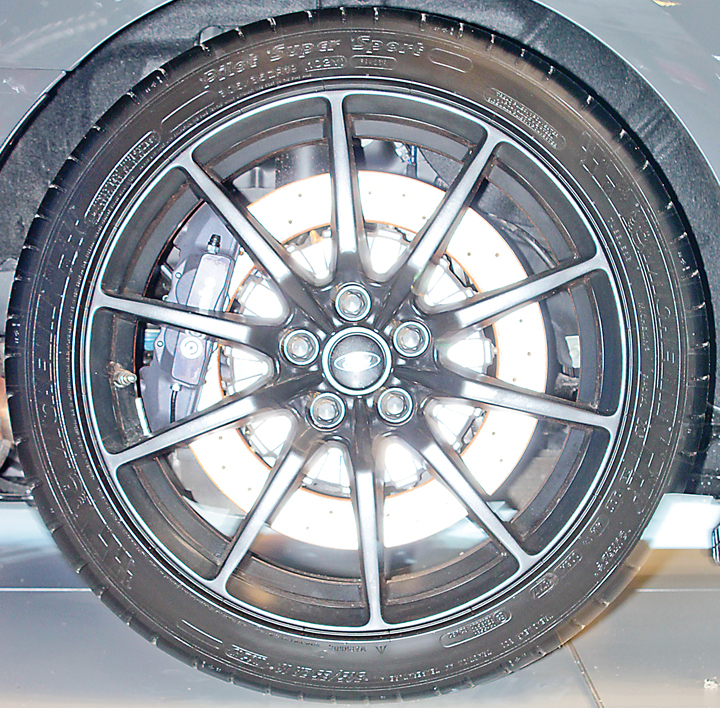 For the Shelby GT350, Michelin Pilot Super Sport is mounted on this car. 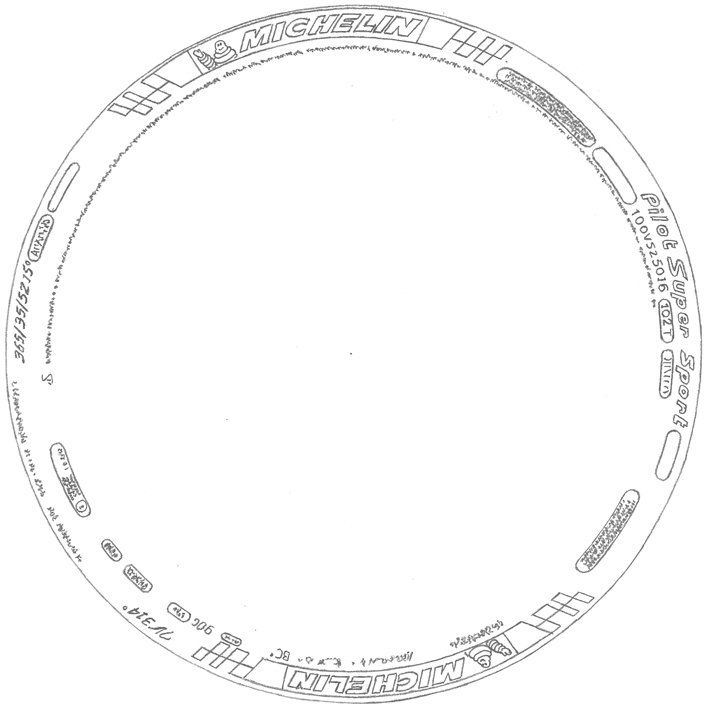 So I drew the different letters and information that appear on the sidewall of the tire. 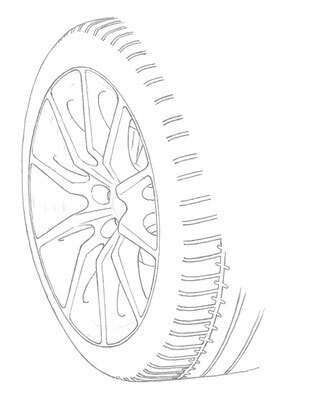 Once digitized, I had only to do a distortion the drawing to position it on the sidewall of the tire, which was not a small task to do! It was worth it, because this detail adds to the realism once the color is added to the illustration. Once the drawing posted on Lemireart.com and shared on Facebook groups of the model of the car, I received 3 orders in 3 days and it is the most expensive option which was chosen. To shop the Shelby GT350 art print, click here. 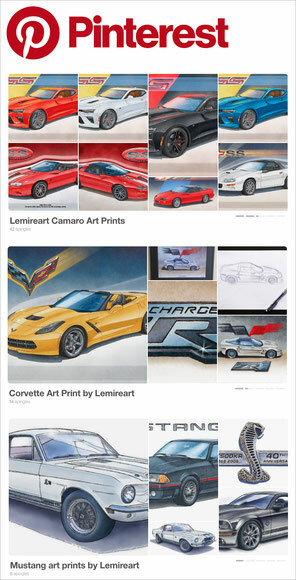 GET NOTICED ABOUT NEW AUTOMOTIVE DRAWINGS!